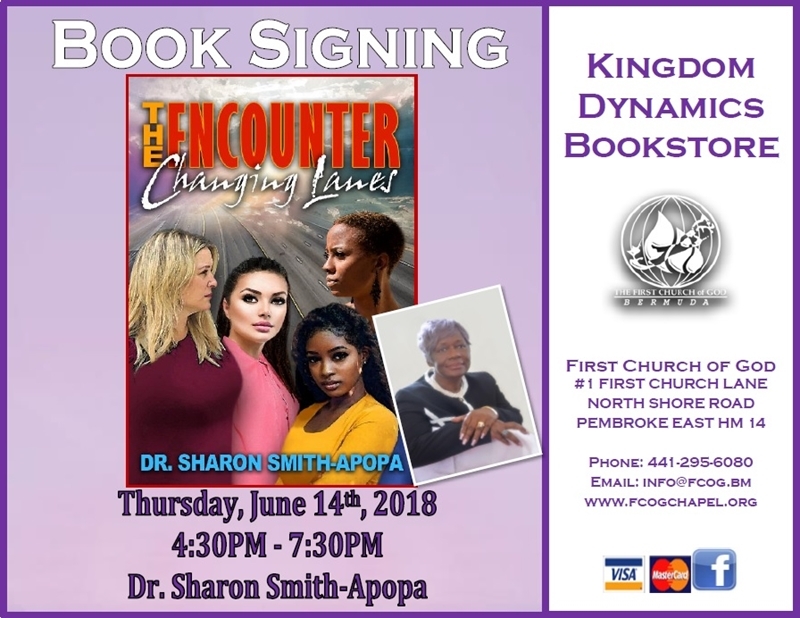 The Kingdom Dynamics Bookstore at the First Church of God North Shore will host a Triple Book Signing on Thursday June 14th with three sisters who are all well known Bermudian authors; Dr. Sharon Apopa, Dr. Lois Burgess and Joan Robinson. A spokesperson said, “Follow the women from The Encounter, as they make life altering decisions that cause them to change lanes. Living Life Intentionally can be a challenge, it is a master skill that is acquired through determination and hard work. Does Wanda marry Je’su? How does a wife rekindle the fire and passion in a marriage that has become frozen, can a woman really love the child from her husband’s adulterous relationship? Reading this book will give you answers to all of these challenging questions. 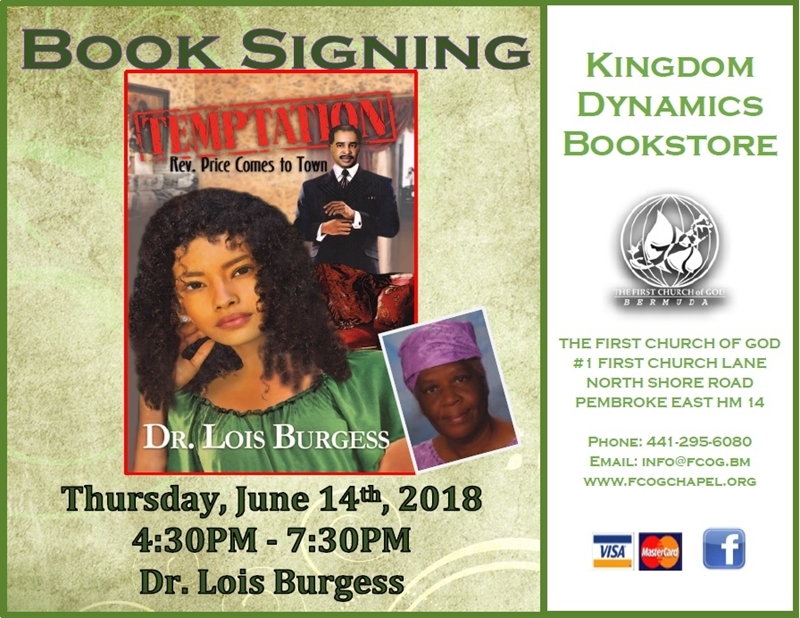 “Twenty year old Cissy Mosely Weeks, the granddaughter of Mrs. Jane Beatrice Thomas Mosely, one of the most influential members of Calvary Grace Deliverance Center, has a rude awakening when she discovers a side of her new pastor, Rev. Jonathan Price that no one else seems to notice. “Caught between her desire to make up for her grandmother’s disappointment in her mother, and her passion to measure up to her grandmother’s expectation of her, Cissy keeps a secret that cannot only ruin her own life, but, if disclosed, will also serve to make the difference between the Church keeping its outstanding place in the community or the pastor losing his credibility in the corporate world and forfeiting the bank loan that the church so desperately needs to renovate their century old building. “Challenging! Captivating and Contemporary!, Sisters beware! Temptations is a must read. 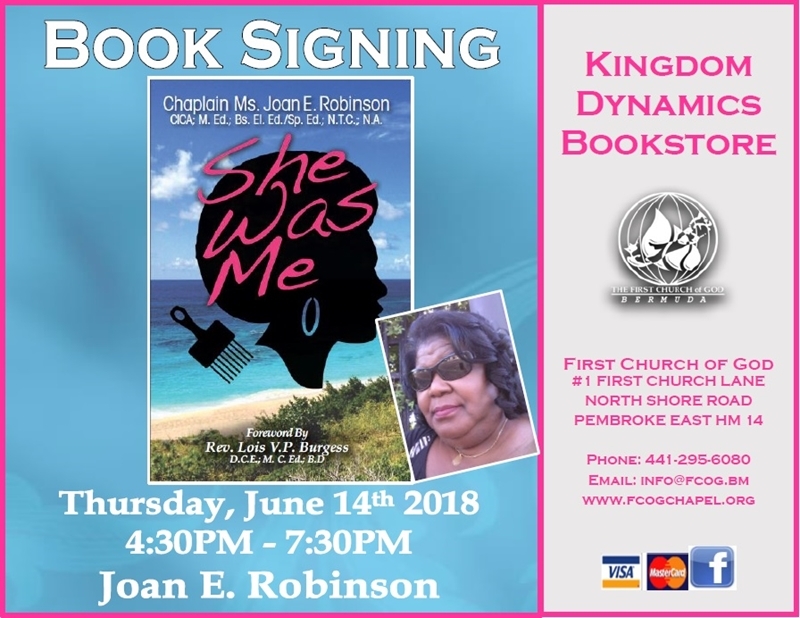 ““She Was Me” is an exhilarating autobiography recounting excerpts of a Bermudian author, as she journeys through her life. It is guaranteed to make you laugh, cry, and scrutinize your own faith in God as you read through the pages of this novel. You are certain to come away blessed and refreshed in a meaningful way.